Stewards have issued Anton De Pasquale a points penalty and a fine following an incident with Jack Le Brocq during Race 22 at the OTR SuperSprint. 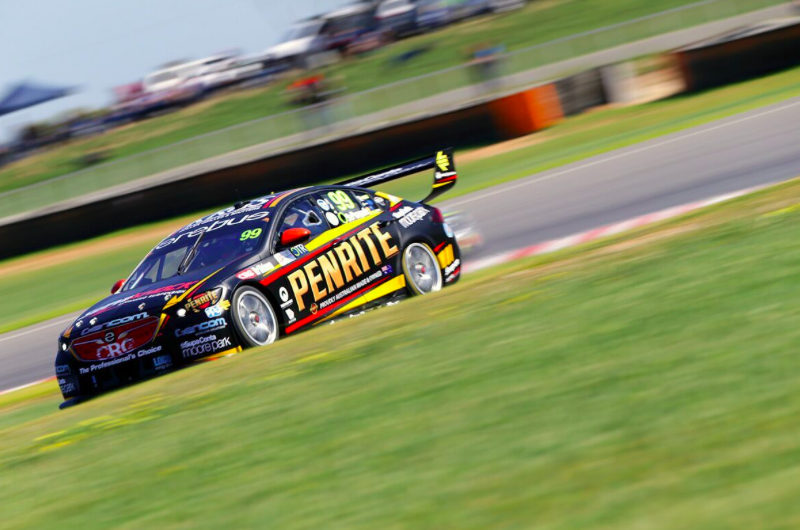 The Erebus Motorsport driver was found to have made ‘careless contact’ with Le Brocq as the pair entered Turn 1 on the opening lap of the maiden Supercars race at The Bend Motorsport Park. Officials deducted 25 points from his championship tally but also issued a fine given the breach was his third offence of this nature in the last four Supercars rounds. De Pasquale copped 35 point penalties for two separate clashes with Nissan Motorsport’s Michael Caruso at the Watpac Townsville 400 in July and at the Red Rooster Sydney SuperNight 300 earlier this month. As a result, CAMS stewards have issued the Supercars rookie with a $3,000 fine with $2,000 suspended. “The DRD conducted a post-Race investigation into an Incident involving Car #19, Jack Le Brocq, and Car #99, Anton De Pasquale, at Turn 1 on Lap 1 following a request for investigation from Tekno Autosports,” read a report from the stewards. “The Driver of Car #99 was found to have made careless contact with Car #19, causing Car #19 to spin off-track to the back of the field in breach of Schedule B2 Article 2.1.1 – Careless Driving. “Following an admission to the breach, the Stewards imposed a Penalty of Loss of twenty- five (25) 2018 Virgin Australia Supercars Championship Points together with a Fine of $3,000 of which $2,000 is suspended in respect of any breach of Schedule B2 Article 2 until 31/12/18. Meanwhile, Garry Rogers Motorsport’s Garth Tander was handed a 90 second post-race penalty for failing to complete the compulsory pit stop requirements for Race 22. Tander had run as high as seventh before an electrical issue saw him grind to a halt at Turn 18 which prompted a Safety Car on Lap 7. The 2007 champion rejoined the race and finished six laps down.